(no classes on May 27 for Memorial Day or June 24 – Vacation Bible School) June 3 class will be in room 309. Description: It may be hard for you to feel optimistic about the future right now. If you’ve lost a spouse, child, family member, or friend, you’ve probably found there are not many people who understand the deep hurt you feel. 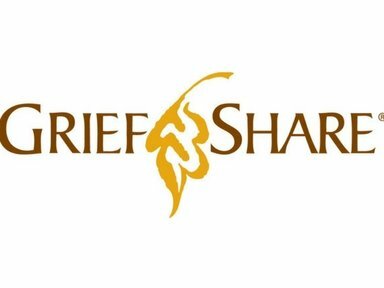 “Going to GriefShare feels like having warm arms wrapped around you when you’re shivering.” GriefShare meets weekly to help you face these challenges and move toward rebuilding your life. You are welcome to join the at any time during the series. Each session has three distinct elements: video, support and workbook. Complimentary child care is available when registering at least 7 days in advance. Book fee: $15.